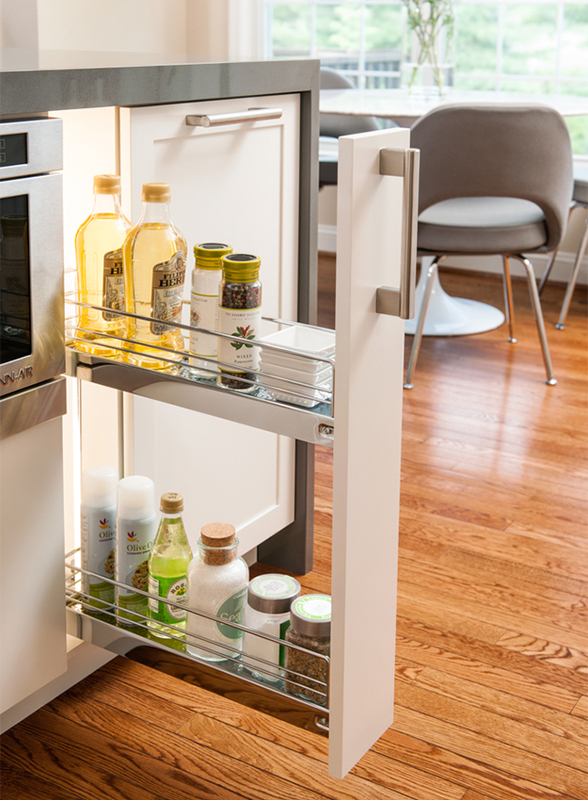 Will Your New Kitchen Be As Organized as You’d Like it to Be? There are lots of decisions to be made when remodeling a home, but one of the most important could be having a place for everything and having everything in its place. If you’re remodeling or building a new kitchen, I’m sure you’ve been thinking about what you ultimately want the space to be. Lets face it, the kitchen is the center of the home. Do you want dark cabinets or light painted ones? Granite or Quartz for your countertop? There are so many decisions to make when it comes to the look of your kitchen, but have you thought about how your kitchen will be organized? Wouldn’t it be nice to have a place for everything…and everything in its place? Use clever storage accessories, like the ones shown above from Kesseboehmer, to be more organized in the kitchen. Did you know, in a Houzz.com study this year, over 35% of homeowners who had remodeled their kitchen wished that they had spent MORE money in the end to get the organization that they wanted? Also, 60% of homeowners who are planning on remodeling their kitchen say that the most important functional aspect to them is that it is “easy to store and find things in”. It seems what we want most is organization and efficiency, something the plain old cabinet with a shelf just isn't providing anymore. Here’s how to get the organized kitchen of your dreams…no matter what color the cabinets are. Start by talking to your professional kitchen designer about what your options are. Ask them what items they typically put into every kitchen. A waste-bin pullout? A pantry cabinet? An under-sink organizer? What about a corner solution? Where will your spices go? Pots and pans storage? 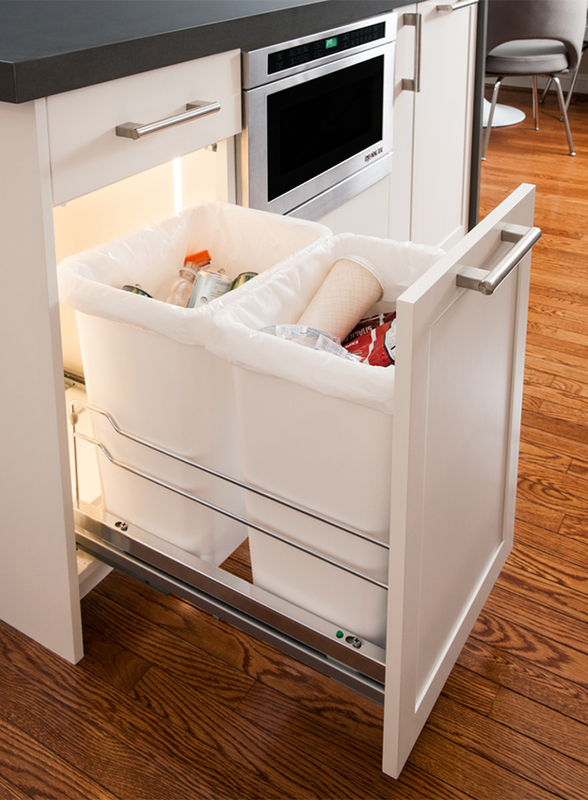 Nearly every kitchen has a pull-out waste basket unit for holding and concealing trash in the kitchen. Now think about the things you use every day in your kitchen. Do you need a cabinet for the kids’ snacks? Where will the oil, vinegar and daily cooking ingredients go? How many cabinets are you storing dry food in right now? We did a survey and the average consumer is storing dry food in 5 cabinets. Why not ask for a pantry cabinet to get everything in one place? Placing a pull-out pantry unit, loaded with spices and other cooking ingredients, near the range to stay efficient in the kitchen. Finally, print out those ideas and ask your kitchen designer to build them into your kitchen. We only replace our kitchens every 12-15 years, wouldn’t it be nice to have a fully organized and functional kitchen along with a beautiful space? Plain & Fancy, who is always ahead of the curve, has a complete selection of Kessebӧhmer Interior Storage Solutions that you can have built into your new cabinets. 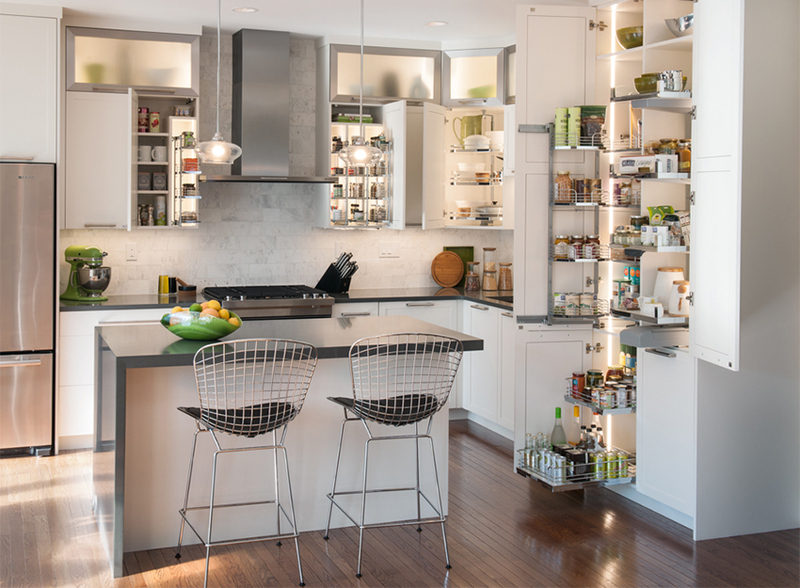 Here’s to the organized, efficient and beautiful kitchen of your dreams! Dee Maher is an interior designer and a kitchen designer, and has been the Senior Product Specialist for Kessebӧhmer USA for 7 years. She manages a group of Product Specialists around the country and spends the remainder of her time educating kitchen designers about the importance of using interior storage solutions in their designs. Dee is also the Outreach Programs Coordinator for a foster-based dog rescue and a coffee enthusiast.